Being squeaky clean, should always be on the top of your list. A shower a day keeps the stinkyness at bay! With that in mind, my husband and I have recently been trying to make a joint effort at being eco-friendlier. We have since introduced these eco-friendly ways into our daily hygiene, being conscious of the products that we use. 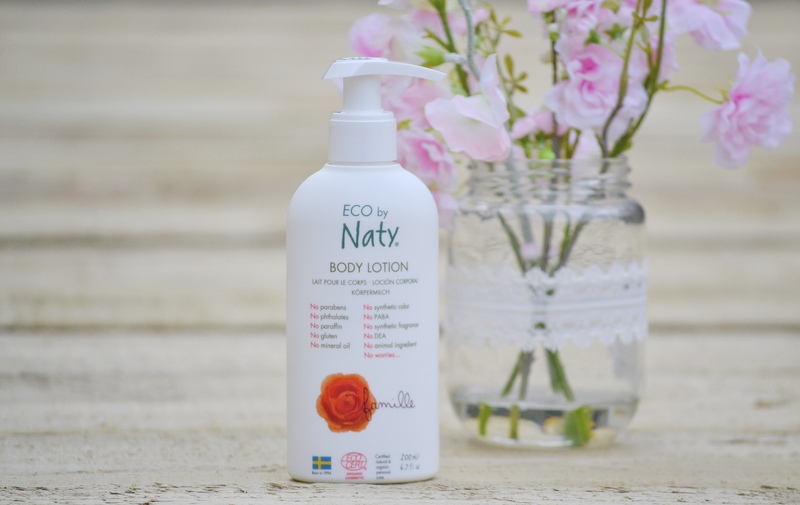 If you have been reading my blog for a while, you will know that our daughter has been using the most divine eco-friendly range from Naty (Eco by Naty). 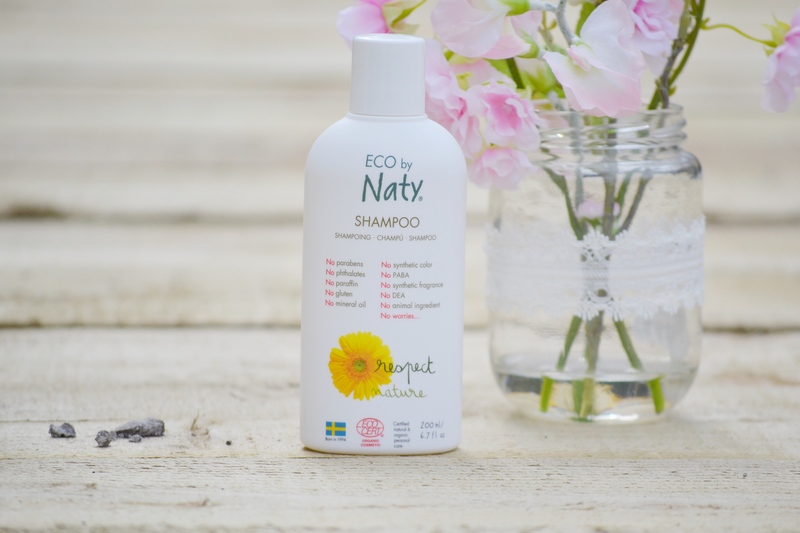 Naty are a Swedish company, dedicated to being waste free and have designed a beautiful extensive baby range from nappies, nappy bags, all sorts of baby toiletries to eco-friendly clothes! Naty always leaves Harpers bum as happy as can be, so with that in mind, my husband and I gave the Naty Adult range a try. Parents have to have some spoils too, right? 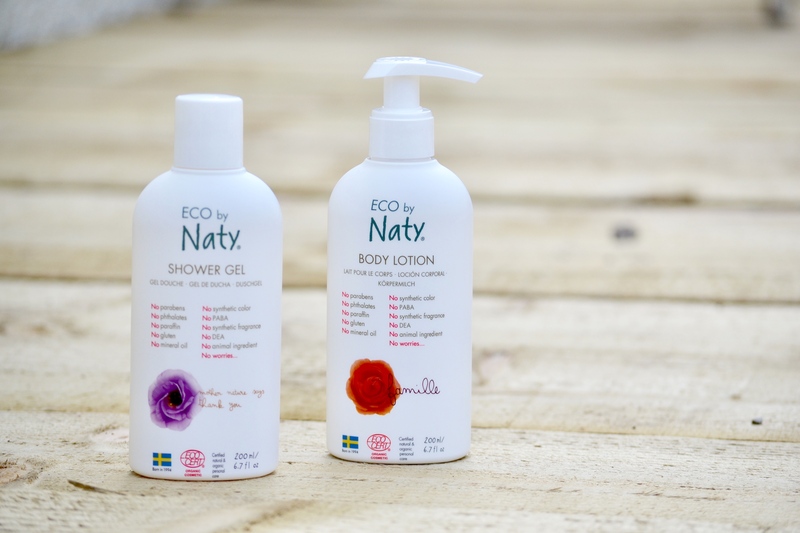 We have the Naty shampoo, shower gel and body lotion. The first thing that I noticed is that all of these products are packaged in waste friendly bottles, with beautiful branding that’s simple, yet elegant. Who wants to look at unattractive bottles anyway? Respect for the eyeballs really goes a long way! husband and I both really liked the shower gel, its smooth, fresh, and a little goes a long way. To me, the shower gel has a beautifully light rosey scent. Its super subtle, but its definitely there. Robbie said that he thought it smelt foresty, but this is also the same person who thinks that strawberries smell like apples. Robbie loved the shampoo. He found it to lather really easily and left his hair as soft as Harpers bottom. I found that the shampoo worked quite well. I have EXTREMELY damaged hair from years of highlighting. I often buy salon quality shampoo ranges specifically for blonde/damaged hair which are extra conditioning and give my hair some serious TLC. As far as my damaged hair goes, my hair was left feeling dry, but I can only guess that it’s because there are no bad chemicals, parabens, or mineral oils. However, when brushing my hair wet, it was totally fine where my hair has grown out, but when I brought my hairbrush down to my highlighted hair, it didn’t brush through very easily. This tells me that if I had an entire head of natural colour free hair, that this shampoo would’ve been superb, especially being friendly to our planet and waste free. Robbie and I both loved the scent – very similar to the shower gel, just a little stronger, in a yummy way! I absolutely LOVED the body lotion. It smells like a bottle full of sweets! How delicious! One of the mumma bloggers Gill from ChatsWithGill, that I regularly interact with and follow was recommending this lotion to her audience, and now that I have tried it, I TOTALLY understand why! The lotion formula is smooth and again, a teeny bit goes a long way. The bottle also has a pump lid, making it easy to apply and scoosh out. I’d absolutely recommend this! 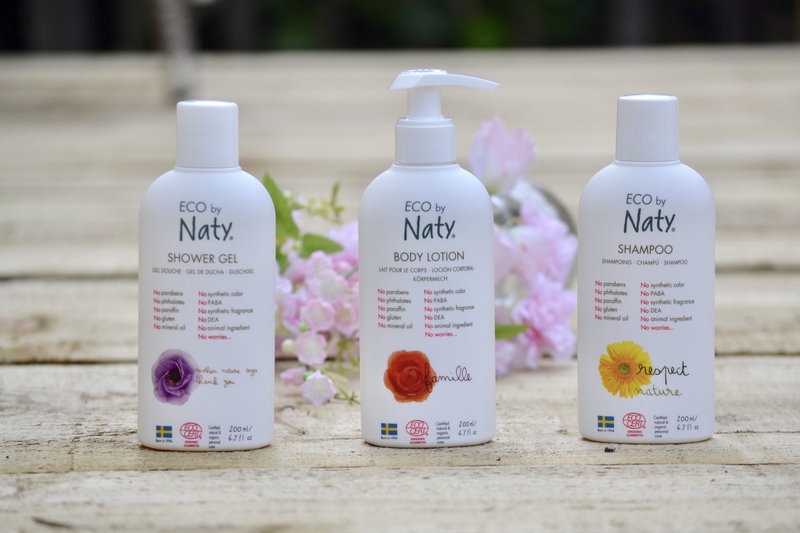 All in all, the Naty Adult range is really an amazing one to try, simply for its eco-friendly, chemical free, oil free, pollution free ethos. So many things FREE! It’s also a priority of Naty’s to be cruelty free, which is a major bonus in my books as I really am making a slow move in that direction. I truly love everything that this company stands for after using both their baby range and adult range of body care/hygiene products.